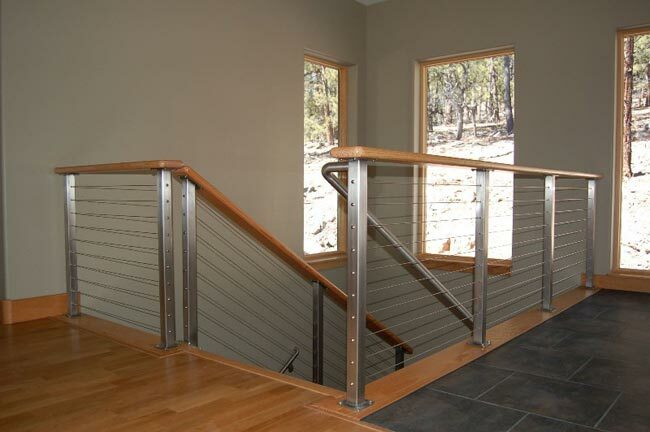 A Subtle Elegant Stairway Surround. 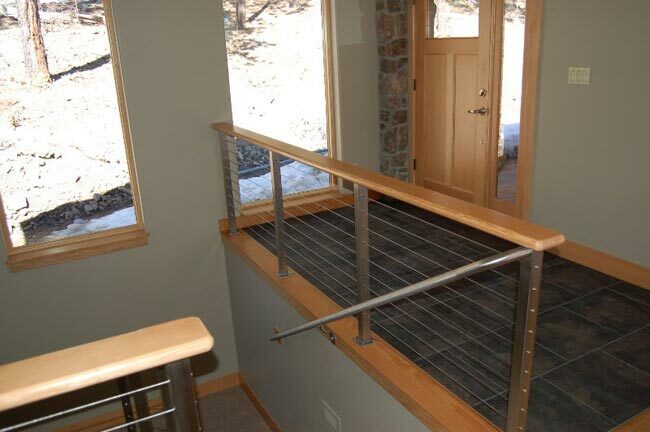 This job in Durango, CO combined stainless posts with a 2 x 6 rounded over top rail to accent the cable infill and create a simple yet elegant look for the interior stairway area. 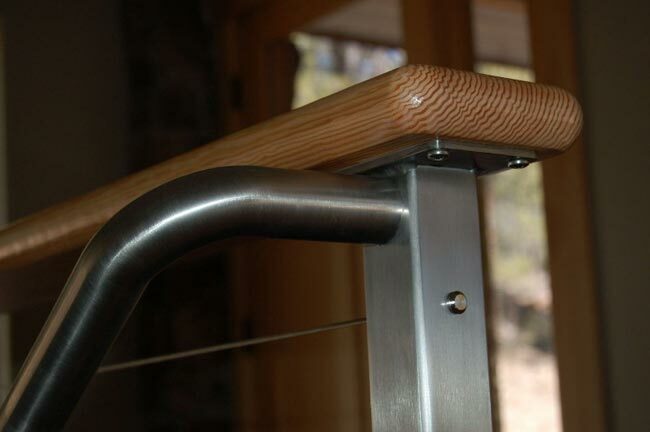 Stainless grip rails were added to complete the system. 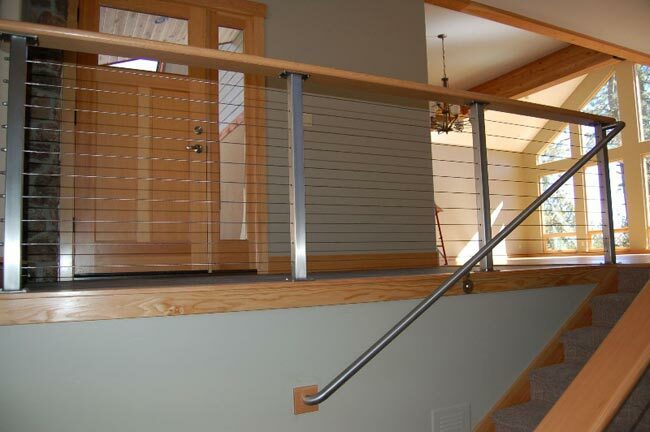 As you can see, the top rail material was selected to tie into the flooring and window frames.